As circus arts become more popular, people of all ages and backgrounds are exploring circus arts for recreation, for fitness, or for professional careers. As students, teachers, and performers, we need to take care of ourselves so we can get the most out of our training while reducing the risk of injury. 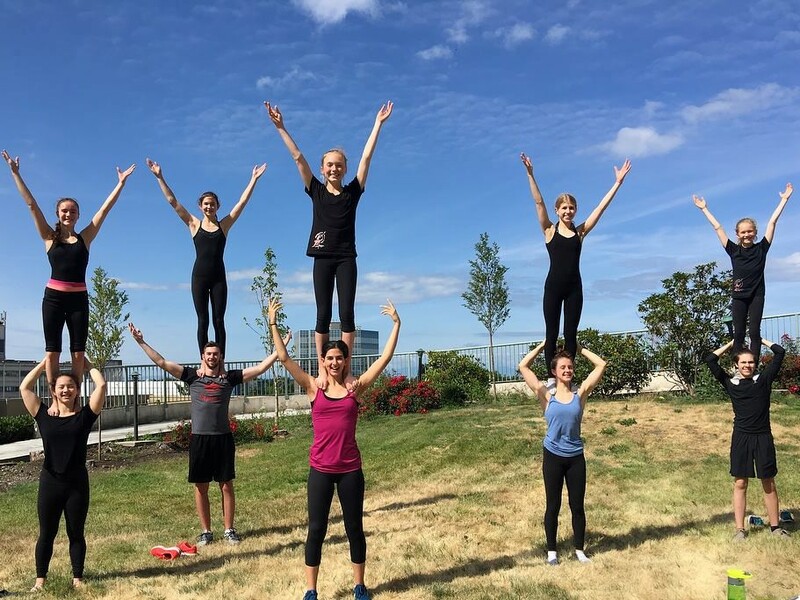 An important way of doing so is to incorporate cross training into our schedules outside of the circus class – exploring other physical activities such as various sports, dance, and mind-body methods like Pilates & gyrotonic. Cross training uses a variety of other activities or training techniques to help improve your overall fitness by addressing any imbalances and aspects missing from your primary physical activity. What components are part of overall physical fitness? No single activity includes all these components, so it’s important to have a training plan with different activities to cover them all. It’s like eating a balanced diet with a wide variety of foods – if all you eat is beans on toast, you’re missing out on crucial nutrients your body needs. A variety of activities is needed for overall physical fitness and that’s where cross training can help. 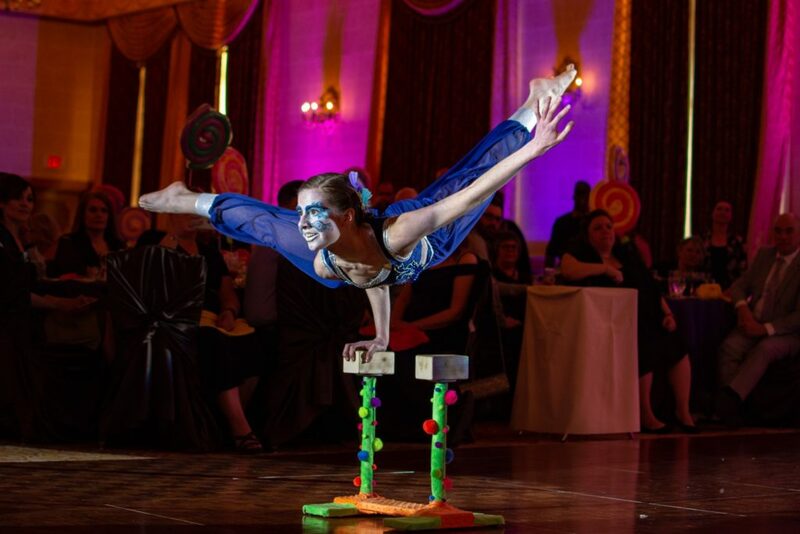 What Are the Benefits of Cross Training in Circus Arts? Every physical activity has specific movement patterns and works your muscle groups in specific ways. Training exclusively in one discipline can leave gaps in your overall fitness or promote imbalances that may lead to overuse injuries or hinder your progress in the long run. Adding other activities to your training plan besides your main circus discipline can help fill in those gaps. For example, if you’re an aerialist (like me), you likely spend most of your training time hanging from your arms, but not jumping and landing on your legs the same way a ground acrobat would. You tend to work the muscles in your upper body that pull you up against gravity, but not the ones that push you like a hand balancer would. So you can improve your overall strength by adding leg-based activities to your training plan, such as cycling, running, or dance. Adding pushing activities like push-ups and handstands, the opposite of all the hanging and pulling involved in aerial arts, helps improve your overall shoulder function by balancing the muscles in your upper body. Our bodies are our instruments, and we need to fine-tune them to be able to do the work, whether for fun or for a career. Training with imbalances is like trying to play a complex sonata on a piano when the bench is wobbly, half of the piano strings are out of tune, and the other half are missing – it’s going to be a lot more difficult to play, and the results probably won’t be very good. Mastering complex circus skills requires a lot of repetitions, but too much repetition of any one thing means we’re likely ignoring other important aspects of training. Studies of sports and dance injuries indicate that most injuries are due to overuse and repetitive training with improper movement mechanics, compensations, and imbalances. Overuse & chronic injuries increase the risk of acute injuries and can limit or force you to stop training in your discipline. Cross training with a variety of activities and methods helps you to stay active & maintain overall fitness while recovering from injury. You can work around the injured area, plus you can incorporate appropriate rehab exercises to help restrengthen and regain function as healing progresses. Performers have the challenge of staying in top physical shape during intense rehearsal & show schedules followed by slow periods of little or no performance work. They face the risks of both overuse injuries during busy work periods and then becoming deconditioned during time off. Cross training with other activities can help with injury recovery and with maintaining overall fitness during downtimes. Even better than recovering from injury is preventing it! Circus arts have high demands for strength & extreme ranges of motion, so training with proper joint alignment, control, & movement mechanics is important for preventing injury. Mind-body activities such as Pilates or gyrotonic exercises focus on improving proprioception (body awareness) & motor control, so they are ideal for injury prevention – prehab rather than rehab! Moving your body with control & precision through different planes & ranges of motion against light resistance helps activate & strengthen the deeper stabilizer muscles, such as the rotator cuff muscles of the shoulders and the deep muscles of the spine & hips. These stabilizers are critical for initiating & controlling movement and for fine-tuning joint alignment. 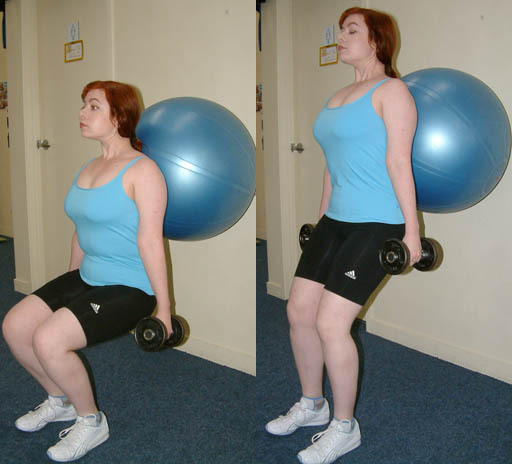 If we only do heavy load strength training for our larger muscles (like heavy weight training for our quads, hamstrings, & lats), we may be missing these important smaller muscles which respond better to more subtle controlled movements and lighter loads (like using a flex band, stability ball, or light free weights). Improving alignment & movement precision is especially important for circus students & performers with joint hypermobility as they often have decreased proprioception, joint stability, control, balance, & coordination. Mind-body activities are ideal for addressing these components. Dance is another way of improving proprioception & motor control (and cardiovascular fitness); studies have shown that athletes who add ballet or contemporary dance technique can develop better jumping strength and experience fewer knee, hip, and ankle injuries. This is likely because dance training tends to focus on building smooth, controlled jumping and landing mechanics, improving joint stability and balance, and reducing the amount of impact in the joint structures. Conversely, many professional dance programs are now incorporating mind-body methods and weight training for improving muscle balance & strength for injury prevention, so cross-training works well for both the sports & physical arts worlds. Better overall fitness and injury management and prevention can help performers and teachers to sustain longer careers, and allow students to train and learn at any age. And how about life beyond the circus class or shows? Imagine an aerialist who trains arm-heavy skills repeatedly without proper alignment or muscle balance and ends up shredding their rotator cuff. Not only does that injury jeopardize their ability to perform and earn a living, it also makes their daily life very difficult. If you can’t move or raise your arm without pain or dysfunction, simple daily tasks like showering, getting dressed in the morning, carrying groceries, and just getting a good night’s sleep become next to impossible. Balancing our fitness needs with other activities is key to maintaining better function & quality of life over the long term, outside of circus training. We need to train smarter to last longer. 5) Avoid Boredom and Burnout! With all the repetition required to master complex skills, it’s easy to become bored or frustrated, especially if there’s a specific skill that just doesn’t work no matter how much you work at it. So how we practice is even more important than how many reps we do – quality versus quantity! If we perform an action with poor alignment & mechanics repeatedly, that action becomes a bad habit which can lead to lack of progress, frustration, physical imbalances, and injuries. Cross training can be a useful strategy for working around these problems. Instead of hammering away at something that isn’t working, using a different activity to train similar movements in other ways can lead to small improvements in alignment & mechanics, changes that gradually add up to new breakthroughs. For example, lots of aerial students struggle with the dreaded straight-leg straddle inversion. For many of them, the problem isn’t a lack of strength, it’s a lack of hip & spine mobility. Cross-training in yoga, contortion, or dance can help improve their active flexibility & core control, allowing them to lift their legs higher with more ease while inverting on an aerial apparatus. You can also work past frustration or boredom by doing a totally different activity; go cycling, hiking, swimming, dancing, anything that keeps you active and engaged. Fitness programs work best when the activities are enjoyable – sure, you have to your training chores (core conditioning & pull-ups, anyone? ), but give yourself time to enjoy moving in different ways, then come back to that annoying, sorry, “challenging” skill later. Training in other circus arts and taking dance classes not only improves your physical fitness, they are also fantastic for exploring musicality, range of expression, and creativity as there are so many different styles to explore. This helps you to be more versatile as a performer, and you also have new challenges & skills to learn. It’s always beneficial to understand more about other disciplines and you gain a greater appreciation for performers in other fields. In my own case when I’m training, in between rounds on the aerial equipment, I take short breaks to juggle – I’m not very good at it, but it’s a fun challenge and I have such high admiration for those who are amazing jugglers. When I was a kid, I couldn’t catch or throw a ball to save my life, but by juggling, I’m slowly improving my eye-hand motor coordination. It’s enjoyable, and as a side benefit, I no longer have bad flashbacks of trying to play softball or dodgeball back in grade school. That small bit of progress feels like an amazing accomplishment to me – huzzah! It’s also beneficial for teachers to learn new skill sets, because it reminds us of what it’s like to be a student. We can better understand what our students might experience in our classes, and that helps us continue to grow and improve in our teaching. It’s the same in circus arts: we get to do incredible physical feats, we get to amaze ourselves, and we create art along the way. It is great. And fun. So take care of yourselves and train smart so you can do your art, for yourself or for others, in whatever form it takes. Aiello, L., Dean, C. (1990). An Introduction to Human Evolutionary Anatomy. London: Academic Press. Dawson, A. (2003). STOTT Pilates Injury & Special Populations Manual. Toronto, ON: Lindsay Merrithew. Graves, T. (1999). Cross Training for the Dancer, Safe Dance III Report 1999, D. Crookshanks editor, Australian Dance Council. Martini, F.H. (1998). Fundamentals of Anatomy & Physiology (4th edition). Upper Saddle River, NJ: Prentice Hall Inc.
Scherb, E. (2018) Applied Anatomy of Aerial Arts. Berkley, CA: North Atlantic Books. Shrier, I., Meeuwisse, W.H., Matheson, G.O., Wingfield, K., Steele, R.J., Prince, F., Hanley, J., Montanaro, M. (2009). Injury Patterns and Injury Rates in the Circus Arts: An Analysis of 5 Years of Data From Cirque du Soleil. American Journal of Sports Medicine, 37(6):1143-1149. Soderberg, G. (1986). Kinesiology: Application to Pathological Motion. Baltimore, MD: Williams & Wilkins. Wanke, E.M, McCormack, M., Koch, F., Wanke, A., Groneberg, D. (2012) Acute Injuries in Student Circus Artists with regard to Gender Specific Differences. Asian Journal of Sports Medicine, 3(3): 153-160. 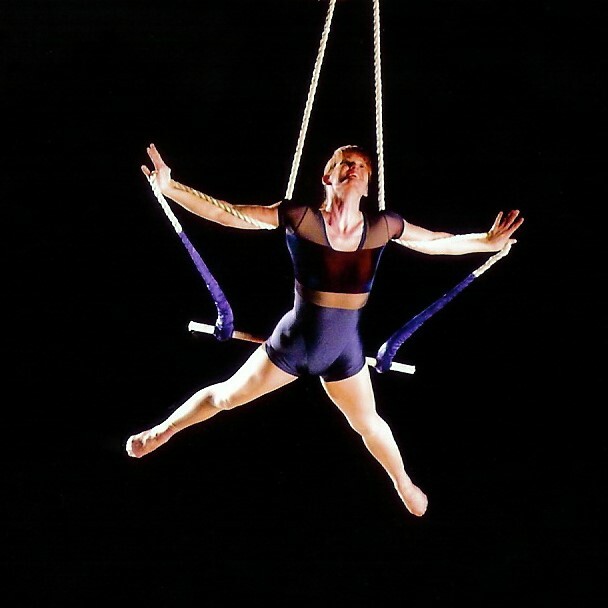 Liz Cooper has been performing and teaching aerial circus arts since 2001. A former professional modern dancer, Liz is the head aerial instructor for Monica's Danz Gym and head aerial choreographer/ co-director of Momentum Aerial & Acrobatic Troupe in Winnipeg, Canada. She also taught Stott Pilates for 18 years and was a Stott Pilates Instructor Trainer for 13 years. 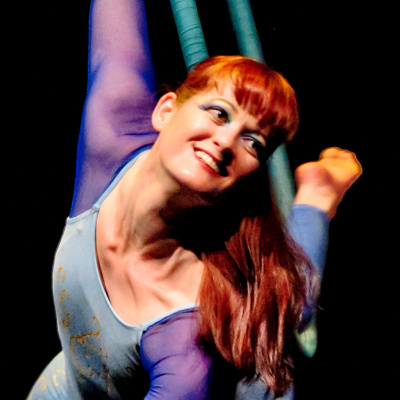 Liz has been studying the anatomy of movement for the past 20 years and is especially interested in applying that knowledge for better training practices in circus arts.